Because today is Wendi’s birthday, I just had to dedicate this roll to her. It’s so bright and sunny, just like she is. Happy birthday, Wendi! 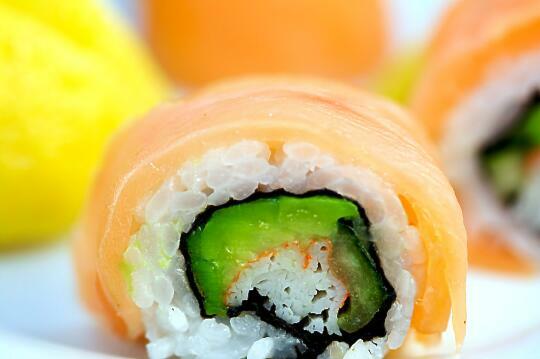 Roll the sushi inside-out, using imitation crab, cucumber, and avocado as your fillings. Wrap with smoked salmon, squeeze the lemon juice over the roll. Allison, what a nice thing to say…now you have me starting my birthday all teary-eyed! And look at my pretty sushi!!! That does it…now I really am going to have to make this so I can eat it! i read your blog from Mr. Robert Gilles – Shizuoka Gourmet blog link. its nice to see your blog..
Wendi – Again, happy birthday! I’m so glad you like your birthday sushi, and you must tell me when you try it and how you like it! this is really sweet of u to prepare something on ur frnds bday , am sure wendi u felt v special , i have always been loving shushi but i just read it somewhr on google that shushi is prepared from a special japanese rice . i m from india i wanted to prepare shushi at home is there a way ? I’ve been looking everywhere for a good sushi-blog, and yours is really great! Thanks a bunch, and keep up the good work! 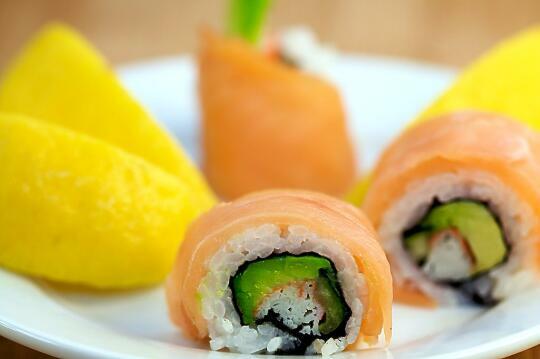 I really need to try my hand at Sushi again…looks so fresh for this time of year! Scott – Definitely try it, it’s perfect right now. Not too heavy, just right for spring. 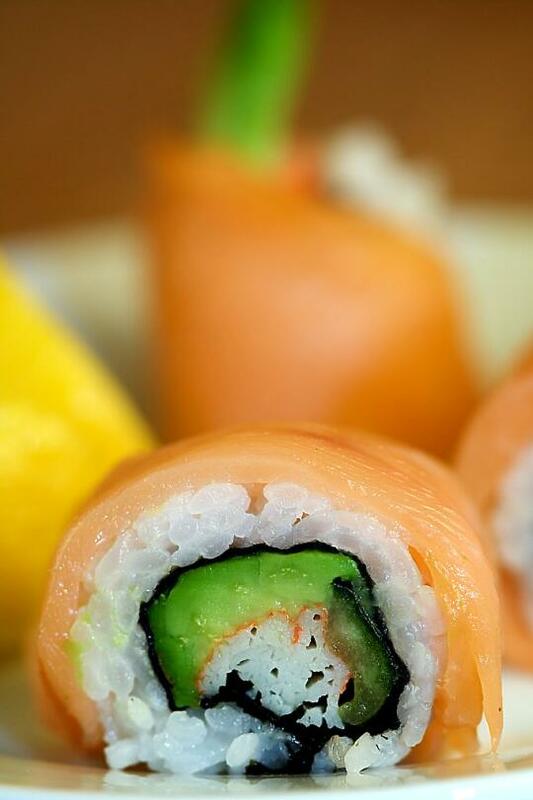 jenny – I don’t really see it, but many rolls do look like a caterpillar when they are wrapped in sashimi or veggies. This is so unique and creative!!! Hi, I love sushi and sashimi and what attracted me to comment are your beautifully taken photos. I am very impressed and the sushi looks so yummy.